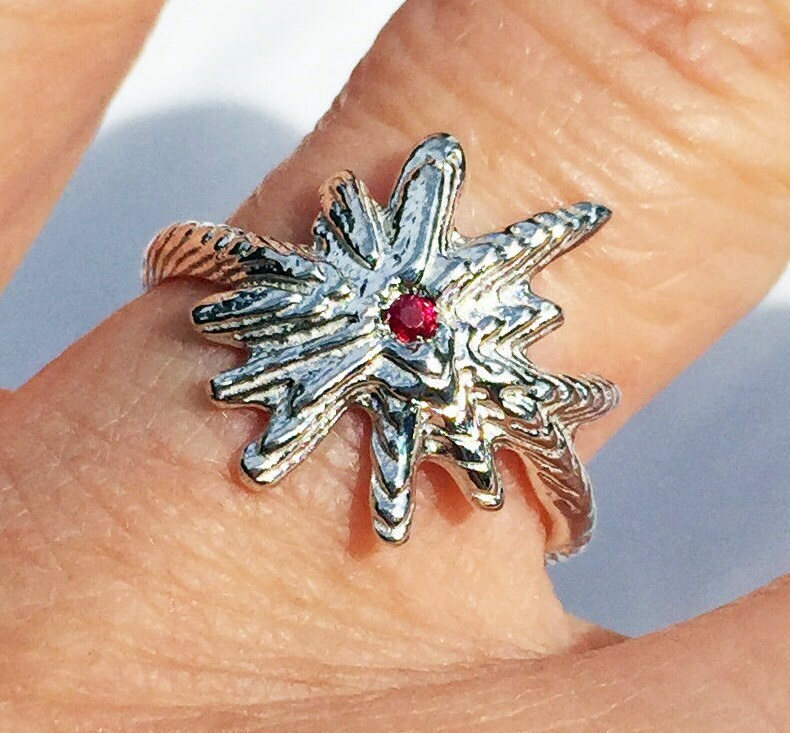 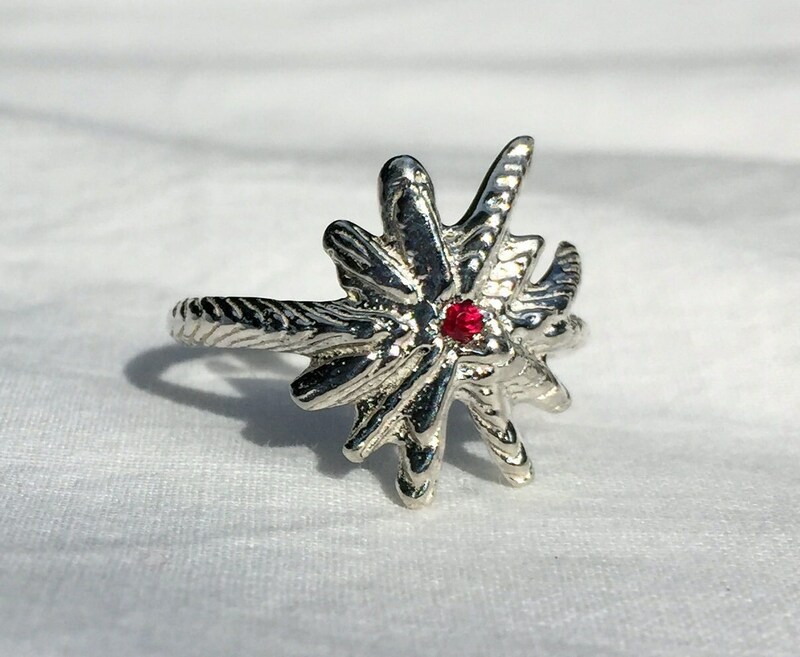 A solid sterling silver cuttlefish cast starburst ring with a beautiful 2mm faceted natural deep red ruby at its center. 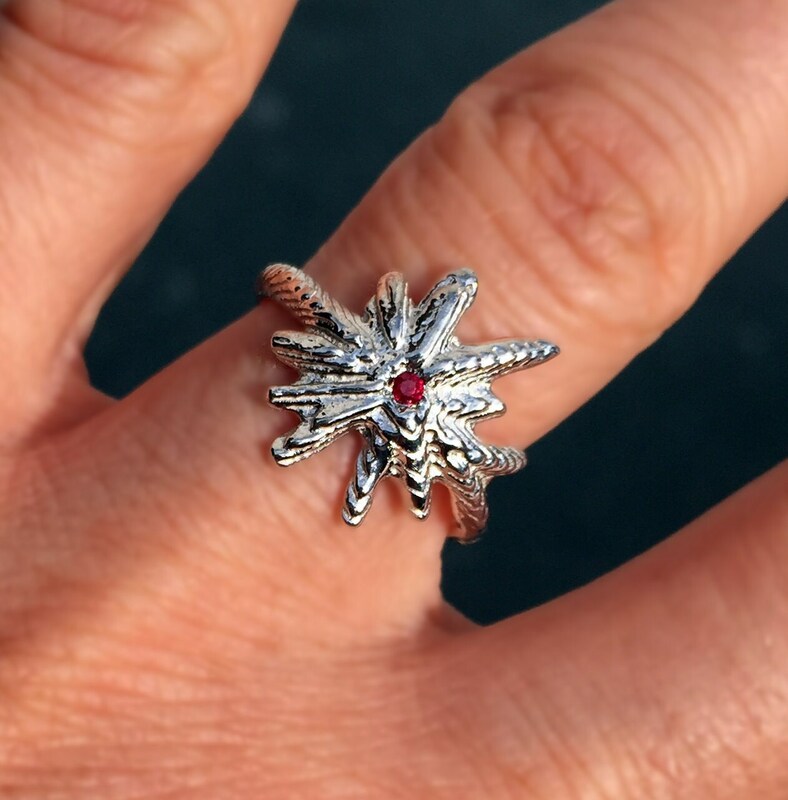 Explosive style and especially nice for those with July birthdays! 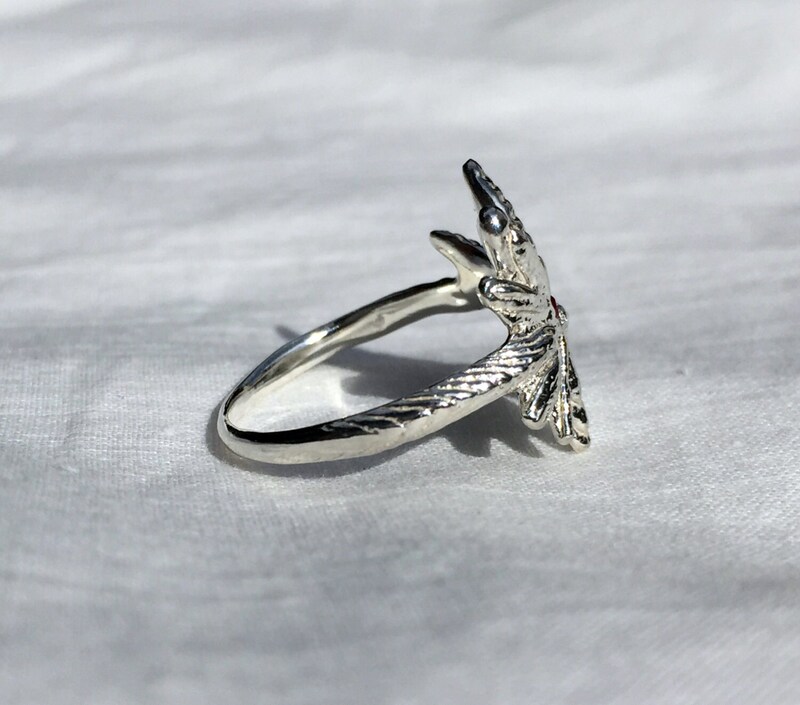 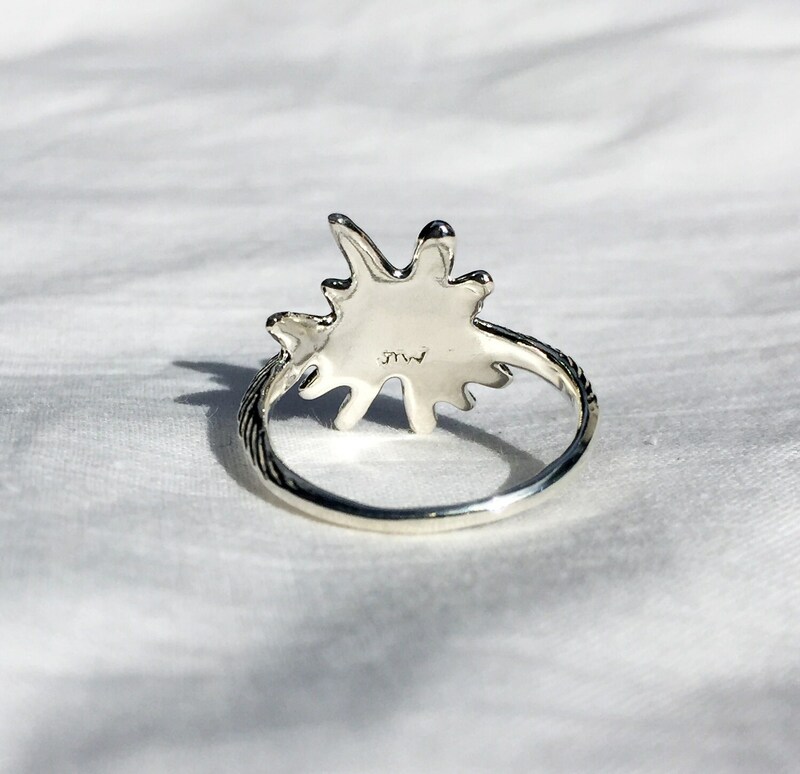 This ring is US size 6 and it has a white silver finish.